…Said no one, EVER! 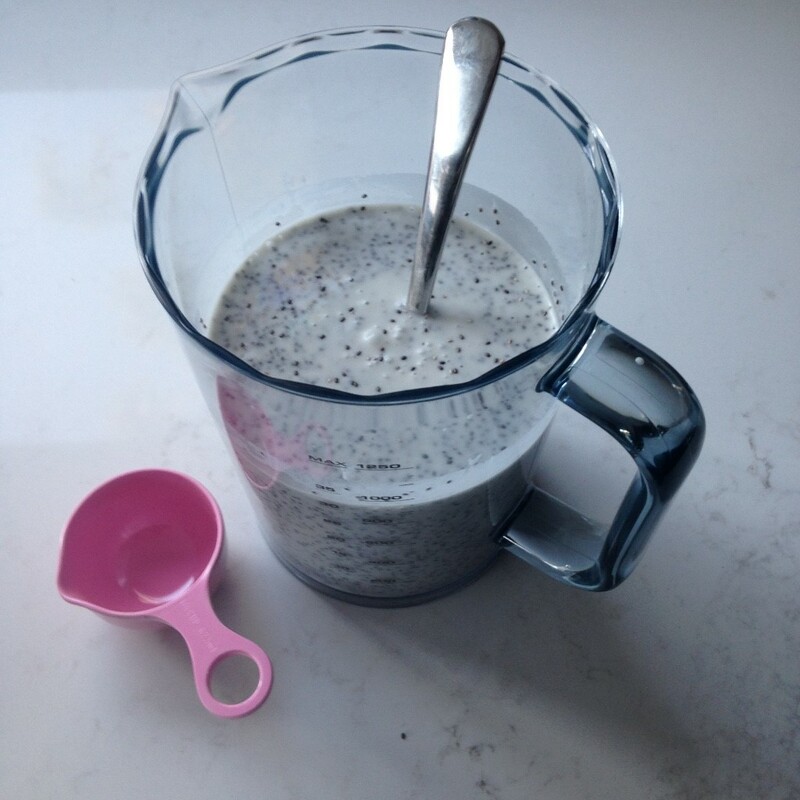 But just in case you are a bit low on fats, I want to share this AMAZING and EASY coconut milk chia seed option! This recipe takes about 4 minutes to prep (it actually takes longer to do the dishes required!) and can be prepped in advance. 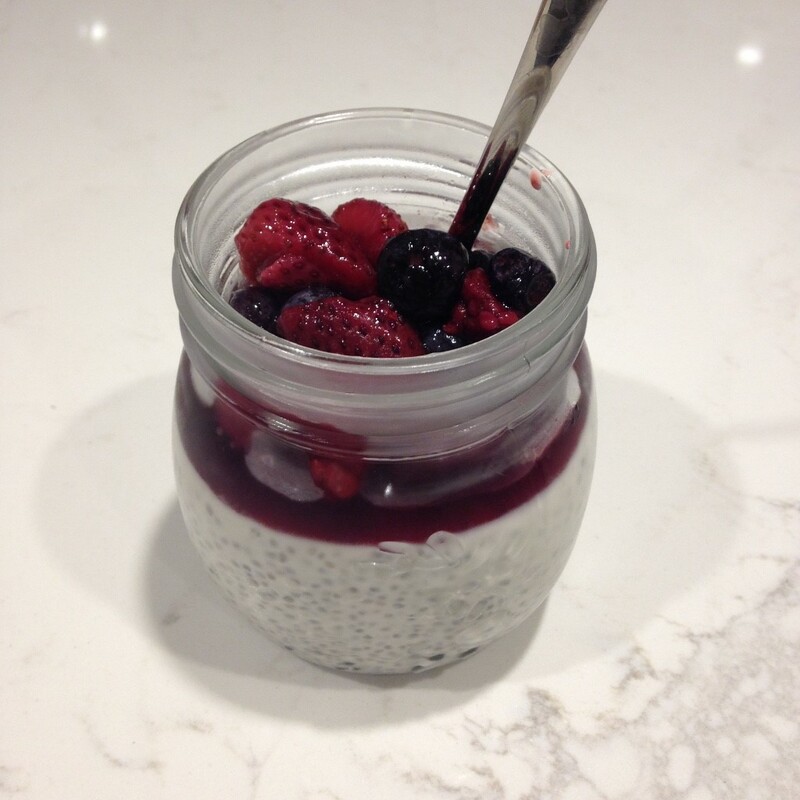 Chia seeds are an excellent source of fibre and will help keep your intestinal tract moving and healthy. 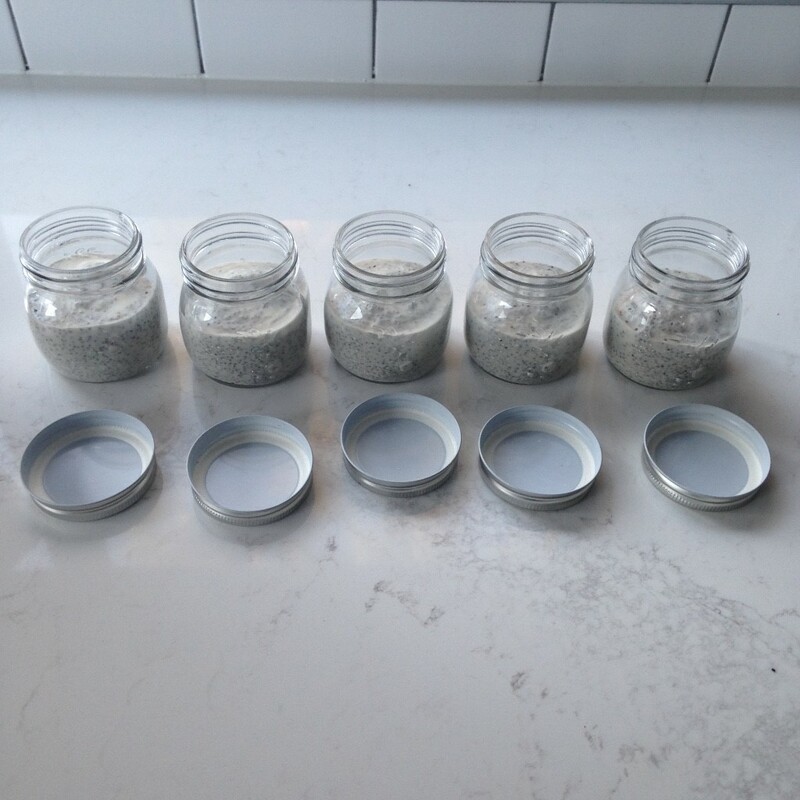 I bought the jars at Target – $5 for a pack of 6. Not a bad deal! 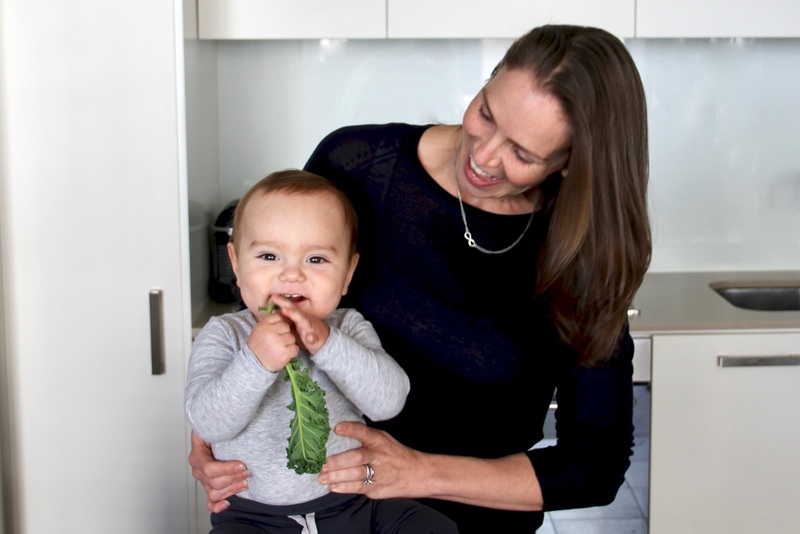 I’m excited for you to try this one out – enjoy! Shake your coconut milk really well before opening. Pour it out into a suitable container. Ideally, one that has a pour spout so that you can easily transfer to your end container of choice. You can exercise a bit of personal preference in this stage. 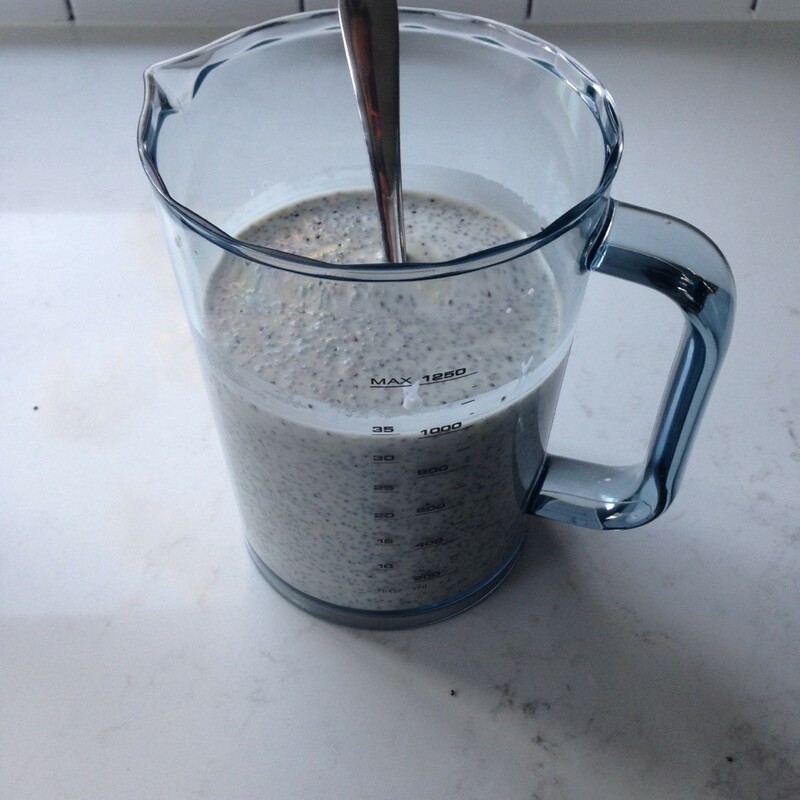 The original recipe was 1/4 cup chia to 250mL coconut milk so if you like you pudding to be thicker and have a lot of texture, then put 3/4 cup in to your 750mL coconut milk. I personally like it a bit smoother so I’d opt for 2/3 cup Chia to my 750mL coconut milk. 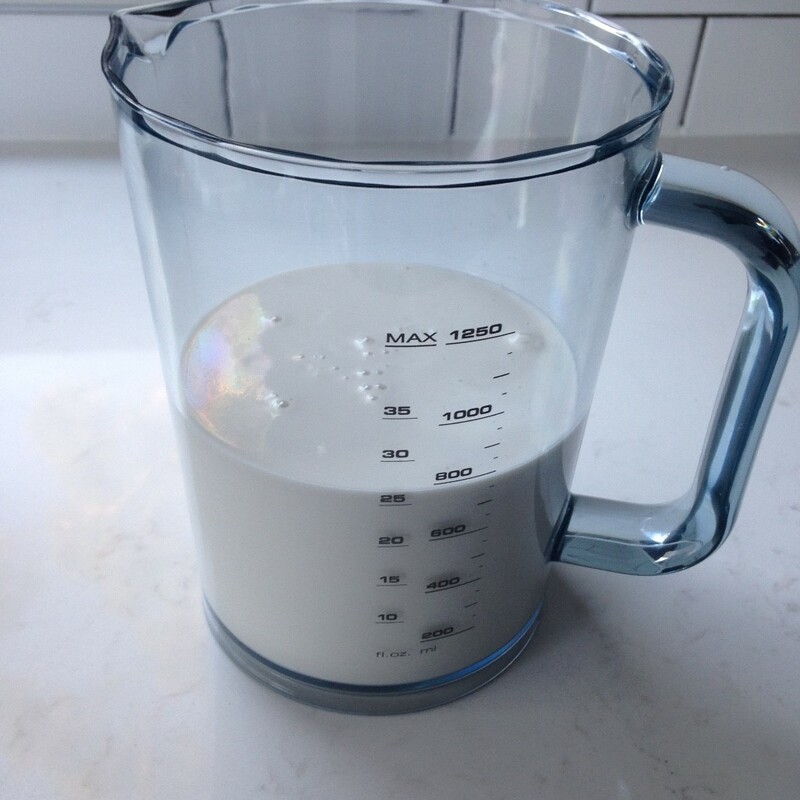 Make sure to mix immediately – the Chia seeds will clump quickly if you leave them to sit too long in the milk. Add the vanilla & maple syrup. Mix well. This is where the pour spout comes in handy but is obviously not required. Equally fill your jars (I used to have 6 but I broke one so the levels are a bit higher in this photo since I’m using one less pot). Place lids on your jars and pop them in the fridge for 3+ hours. 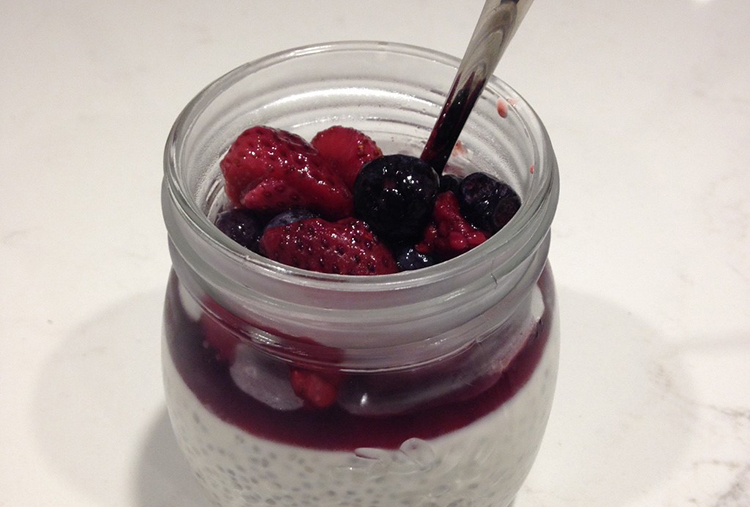 Top your Chia pudding with fresh or thawed berries. Fresh would obviously look a lot better but I love thawing out frozen mixed berries because there is juice that gives a nice flavour. Plus, frozen berries are reasonably priced year round. YUM.